ROME, Apr 12 2017 (IPS) - Nearly 50 per cent of all emergency multilateral food assistance to Africa is due to natural disasters, with advancing droughts significantly threatening both livelihoods and economic growth, warns the African Union through its ground-breaking extreme weather insurance mechanism designed to help the continent’s countries resist and recover from the ravages of drought. The mechanism, known as the African Risk Capacity (ARC) provides participating African states with quick-disbursing funds in the event of drought, and assists countries in developing drought response contingency plans to implement timely and effective responses. As currently structured, ARC reports, the cost of responding to extreme weather events in Africa, particularly droughts, is borne largely by the international community. To give an order of magnitude using World Food Programme (WFP) operations as a proxy for international aid flows, in 2012 WFP assisted 54.2 million people in Africa, spending US $2.7 billion –66 per cent of WFP’s global expenditure that year, it adds. Droughts significantly threaten record Gross Domestic Product (GDP) growth in sub-Saharan Africa, ARC warned, while explaining that 1-in-10 year drought event could have an estimated adverse impact of 4 per cent on the annual GDP of Malawi for example, with even larger impacts for 1-in-15 and 1-in-25 year events. “Such decreased productivity detracts from economic growth, causes major budget dislocation, erodes development gains and resilience, and requires additional emergency aid from the international community in the future.” One dollar spent on early intervention through ARC saves 4.40 dollars spent after a crisis unfolds. The African Union’s extreme weather insurance mechanism also informs that at the household level, the consequences of drought can be devastating in countries with low resilience where large sectors of population rely on rain-fed agriculture for their livelihood. Experts from Oxford University and International Food Policy Research Institute conducted a cost-benefit analysis (CBA) to examine household coping actions when faced with a drought, and the likely long-term cost impacts of these actions, according to ARC. The study estimated the economic benefits of early intervention and thus protecting a household’s economic growth potential –that is, intervening in time to prevent households’ negative coping actions such as reduced food consumption, livestock death, and distressed productive asset sales, which, in the absence of external assistance, have increasingly pronounced negative consequences. A further analysis shows the potential benefit of ARC outweighs the 4.4 times compared to traditional emergency appeals for assistance, as a result of reduced response times and risk pooling. The ARC report about the impact of droughts in Africa came out shortly before the United Nations Food and Agriculture Organization (FAO) chief’s visit to some of the affected areas in North-Eastern Nigeria, where conflict has forced an estimated 2.5 million people to leave their homes and livelihoods. 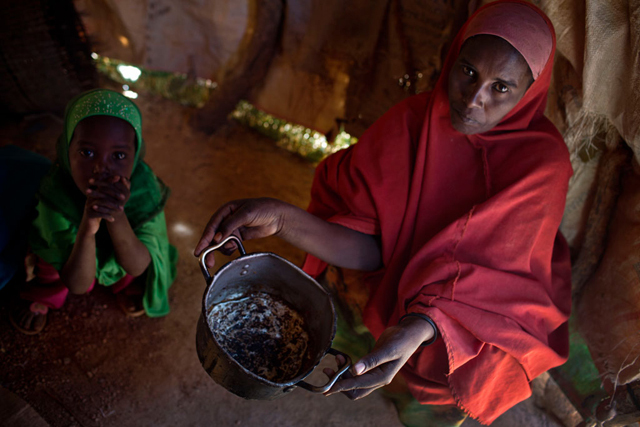 “There are fifty thousand people on the brink of famine in the region, on a scale from 1 to 5, where 5 is famine, they are already at level 4”, FAO director general Graziano da Silva warned. Following three years of drought, agriculture including livestock and fisheries can no longer be left unattended, he said. Agriculture produces food and sustains 90 per cent of the local population. Many of the people in the area have already sold their possessions including seeds and tools and their animals have been killed by the armed groups. “Pastoralists and fishers need to be supported as well for animal restocking. Otherwise if internally displaced persons don’t have their animals and their jobs back, they will remain in the refugee camps, “ the FAO DG emphasised. Contribution to Long-term Resilience and Growth in Africa Low resilience households must grow by more than 3 per cent annually in real terms to withstand a 1-in-5 year drought. 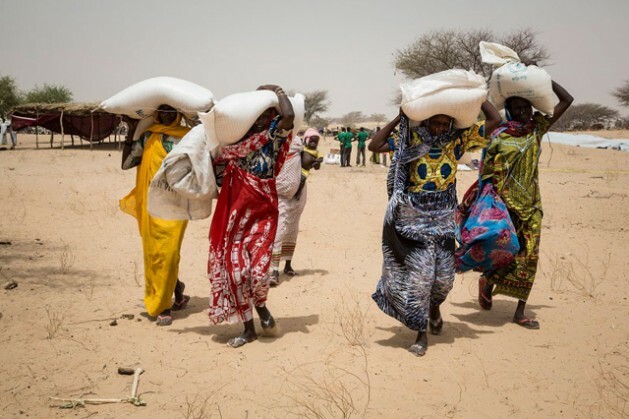 For many countries in Africa, a small shock in terms of a rainfall deficit or elevated food prices can precipitate a call for a major humanitarian intervention and emergency response. The resilience in such countries is significantly low such that they struggle through most years, let alone during a drought. For example, in a country such as Niger, where households currently display very low resilience, the ARC team has calculated that to event, the income of the most vulnerable households would have to grow by an annual average of 3.4 per cent over the next five years in real terms to build sufficient resilience in order to adequately cope without requiring external assistance. In the meantime, insurance is not the ‘correct’ tool to deal with this chronic risk. In order to improve such countries’ resilience to natural disasters, thereby enabling sustained growth on the continent, two key elements are required: risk management and investment. Drought, a complex and slowly encroaching natural hazard with significant and pervasive socio-economic and environmental impacts, is known to cause more deaths and displace more people than any other natural disaster, according to the UN Convention to Combat Desertification (UNCCD).